Google Analytics is one of the best free tools for website owners and bloggers on the internet. The ability to analyse your traffic, generated from your website/s, in a lot of detail is something that will benefit millions upon millions. However, understanding how to best decipher what Google Analytics is displaying can sometimes be a little tricky. 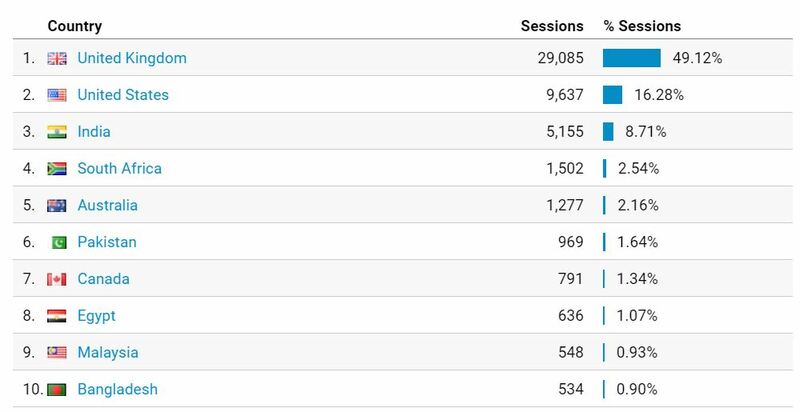 For this reason, to help you along, here are two statistics I look at for any correlations to understand how the traffic is interacting with my websites. The acquisitions overview looks at the traffic sources to your website. For this reason, it is critical to understand where the traffic has come from, why, and, from this, what to concentrate your efforts on improving. In general, there are mainly four sources of traffic a website will get. This includes organically (search engines), referral (recommendations), social media and direct (bookmarks etc.). 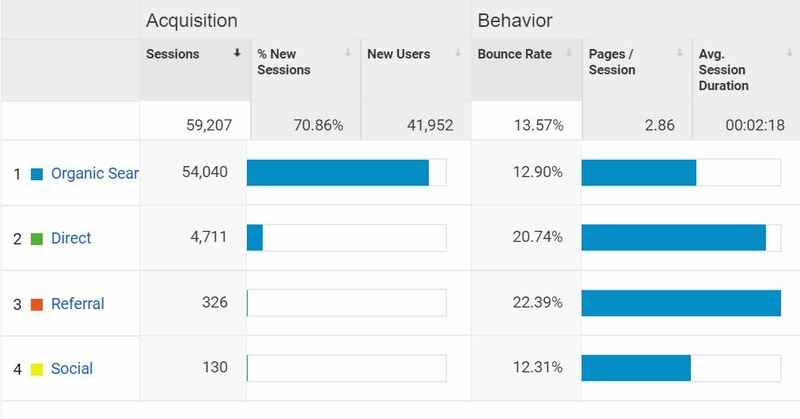 In your own Google Analytics Acquisitions overview, look at the statistics for these four mediums of traffic sources. Which looks the healthiest? This is the traffic source to concentrate your efforts on. Forgetting about the percentage each traffic source accounts for in terms of total traffic, you can see clearly that, in terms of the bounce rate, the best traffic sources are organically and through social media. Since it is beneficial to have a low bounce rate, I could concentrate my efforts more on SEO and expanding my social media channels, especially since social media gains next-to-nothing in traffic at the moment. Obivously, the more stats you compare, the better overview of your traffic you will get. Depending on where your traffic comes from will make a huge difference to how easy it is to profit from your website. For example, if you wanted to include advertising or an affiliate link to something specific to a certain country, due to ‘x’ and ‘y’ reasons, then you need to make sure that the traffic that is viewing this advertising or affiliate link is from that country. Straight away, you can see that the majority of the traffic comes from United Kingdom, and then United States and then India etc. for this time frame (which I will keep hidden). If I wanted to advertise something that was specifically for the United Kingdom traffic, I would automatically be wasting over 50% of the traffic in terms of being able to monetise it. For this reason, you need to weigh up whether you get enough traffic from a certain area of the world to advertise specifically to that area of the world. For this example, 49% is not enough so I will be looking at ways to have adverts only show for certain geographics.